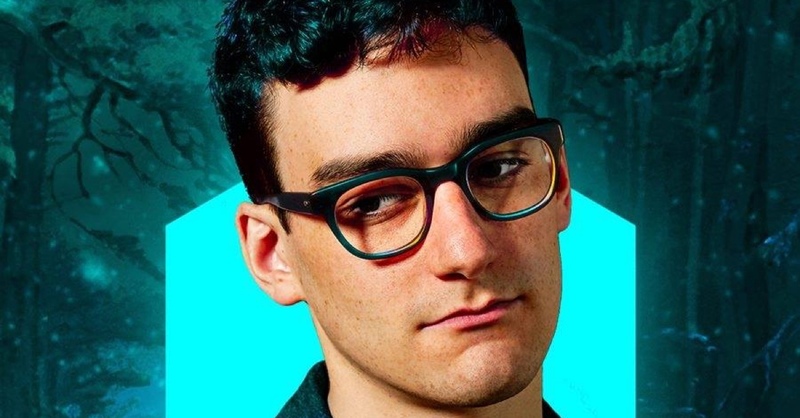 Look for photo of Danny L. Harle. He looks like a computer specialist... because he is one! Well, a little anyway, literally, because his label is called PC Music; and metaphorically, because his relationship with electronic production is somewhat like that of a sound surgeon, with the perfect algorithm, pure maths. Nineties synth pop + female vocals + accelerated pitch + amazing highs + confetti explosion. All stirred with a touch of Soundcloud and mixed so well that more than a label, PC Music is a trademark. Muses? SOPHIE, Charli XCX, Carly Rae Jepsen, Clairo. The aim? Fun with no limits and no preconceptions, running from any type of irony and cynicism. Listening to even one of his bangers will make you cry out exactly what his merch proclaims: HUGE DANNY!